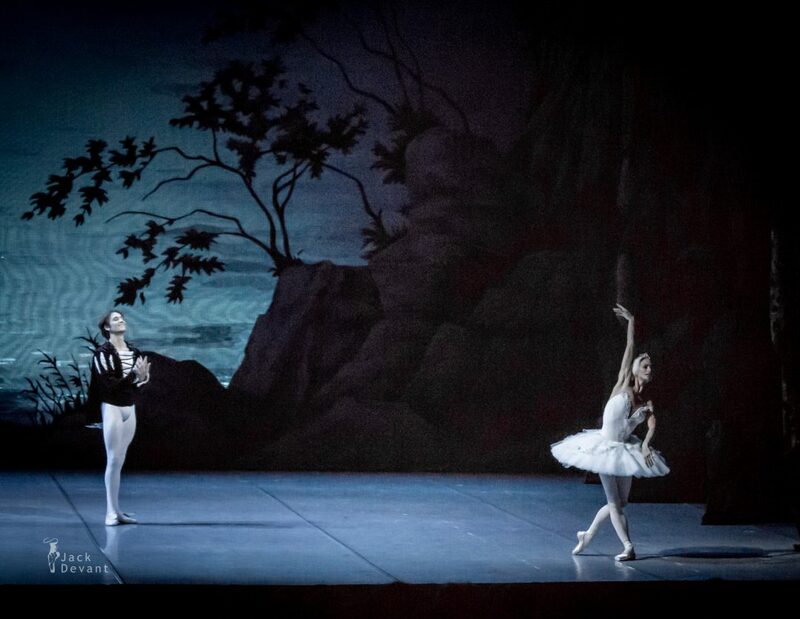 Polina Semionova and Friedemann Vogel in Swan Lake act 2. 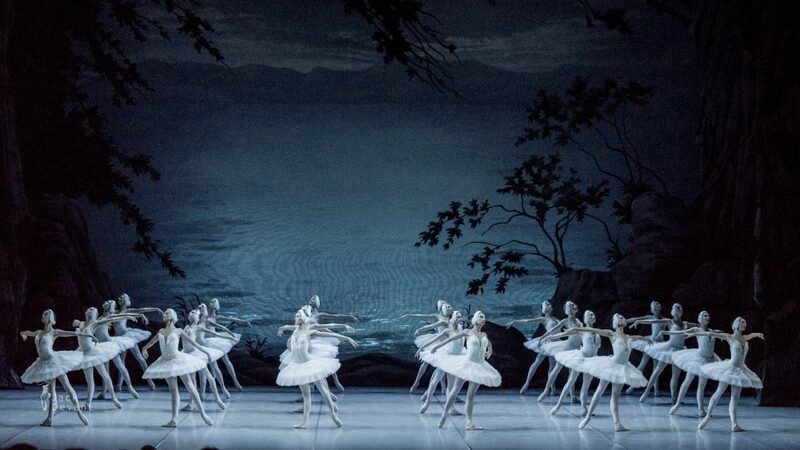 Music by Pyotr Tchaikovsky, choreography by Marius Petipa and Lev Ivanov. Alexander Gorsky, Asaf Messerer, revised by Mikhail Messerer. Shot on 10.9.2014 in Mikhailovsky Theatre, St Petersburg, Russia. 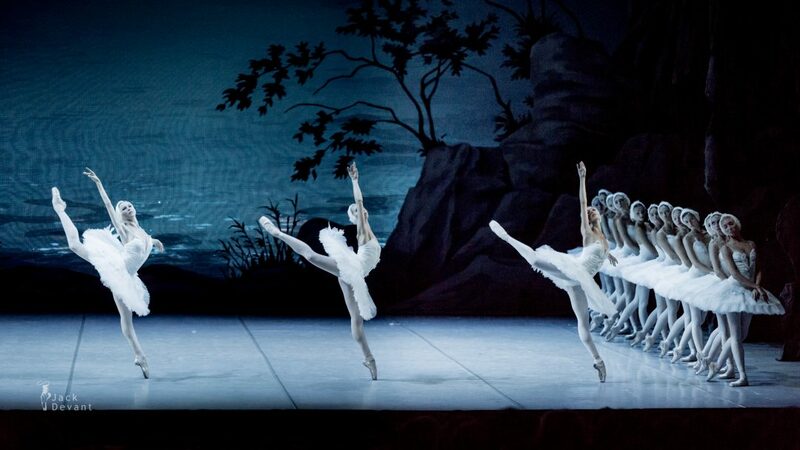 Cygnets Ekaterina Khomenko, Anna Kuligina, Veronika Ignatyeva, Elena Nikiforova. Polina Semionova, born in Moscow in 1984, is a classical ballet dancer and Principal with the American Ballet Theatre (ABT). 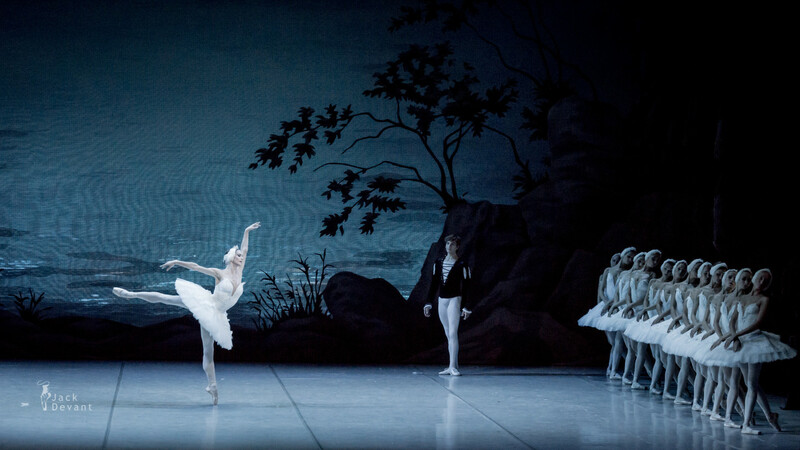 She studied at the Bolshoi Ballet School in Moscow. Graduating in 2002, Semionova joined the Ballet Staatsoper Berlin as a principal upon the invitation of Vladimir Malakhov, becoming the youngest principal in the company’s history at the age of 18. 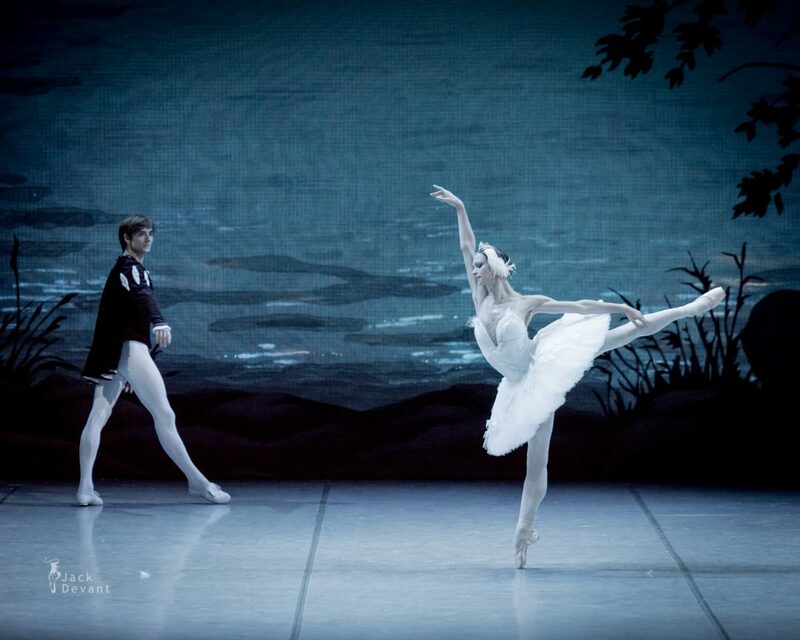 She toured Japan as Malakhov’s partner, the reason he had invited her to be a principal in the company. 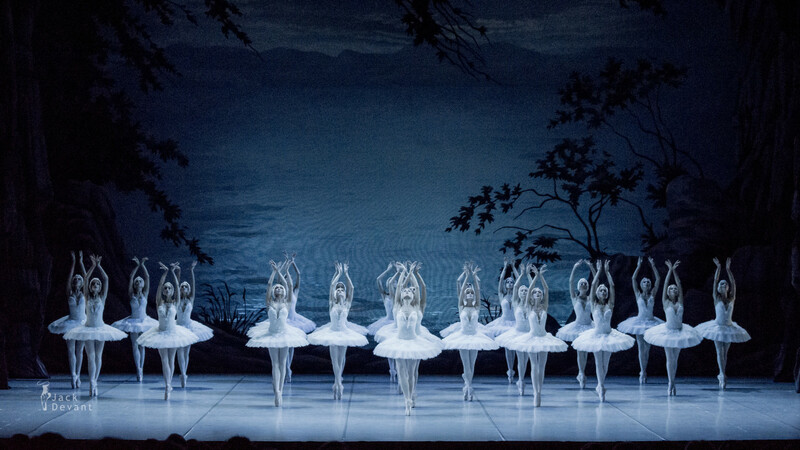 He gave her the lead roles in The Nutcracker and La Bayadère during her first season, following with the role of Tatiana in Onegin, which became her favourite role. Friedemann Vogel is principal dancer with Stuttgarter Ballett (Stuttgart Ballet), Germany. He was born in Stuttgart, Germany. He started formal training at the John Cranko Schule in Stuttgartand completed his ballet training at the Princess Grace Academy of Classical Dance in Monte Carlo with the John Gilpin scolarship from Princess Antoniette de Monaco. He showed his outstanding talent by winning several international ballet competition awards. In 1997 he won the Prix de Lausanne,the Gold medall in the Prix de Louxembourg, Eurocity competion in Italy and 1998 he won the Jackson Competition USA. 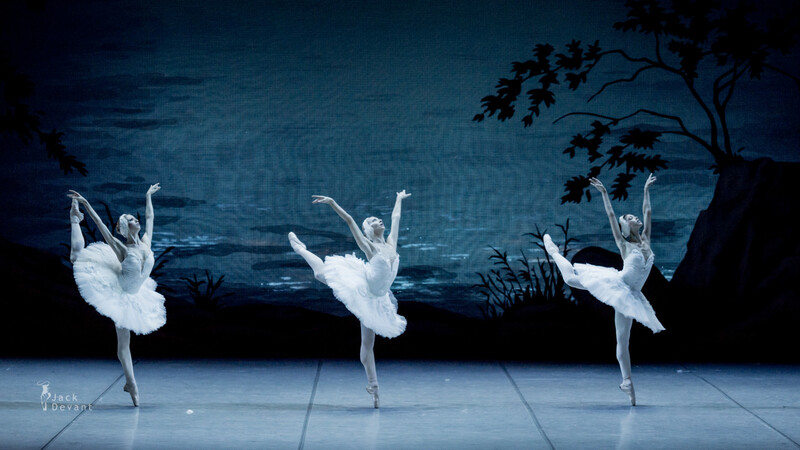 In September 1998 Friedemann Vogel joined the Stuttgart Ballet and quickly rose through the ranks. In 2002 he was promoted to first soloist, the company’s highest rank. Photo by Jack Devant ballet photography © with kind permission of the Mikhailovsky Theatre and Mr. Mikhail Messerer, special thanks Valeria Derkach and Darina Timofeyeva.